No two architecture projects are built alike — so why should all of your case studies be constrained to the same template? This is a question we’ve pondered for many architecture clients and one that proved especially important for Wight & Company. 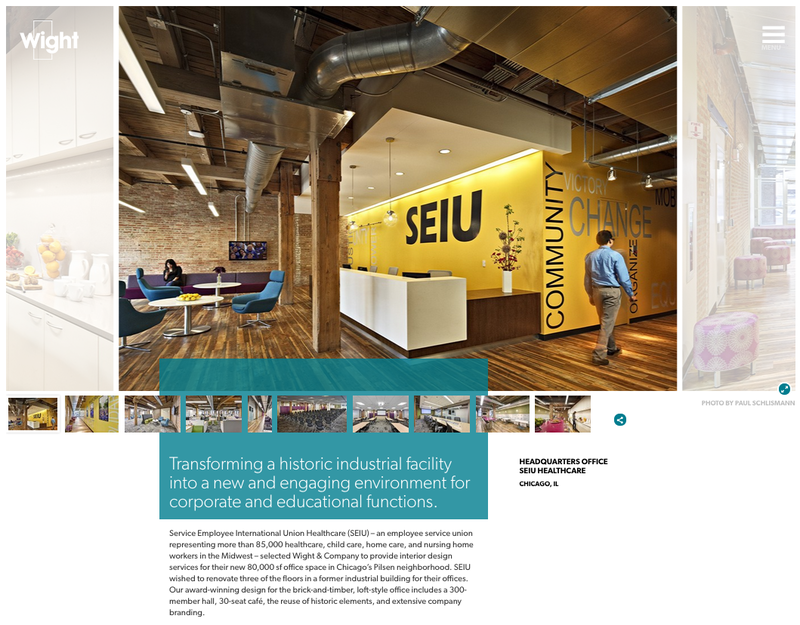 The Chicago and Darien, Illinois-based firm works in a wide variety of markets — from corporate and commercial to government, higher education, and transportation. Wight also focuses on both design and construction, but not always at the same time. This cross-section of industries and services produces a diverse range of projects and, with that, a full spectrum of case study needs. As we built out Wight’s new site, the importance of flexible case studies played out not only in the design of the pages, but in the construction of the site’s content management system (CMS). Using the Drupal platform, our development team created a robust CMS to give Wight’s marketing team the flexibility to show all of their work, regardless of a project’s complexity, assets, or lack thereof. 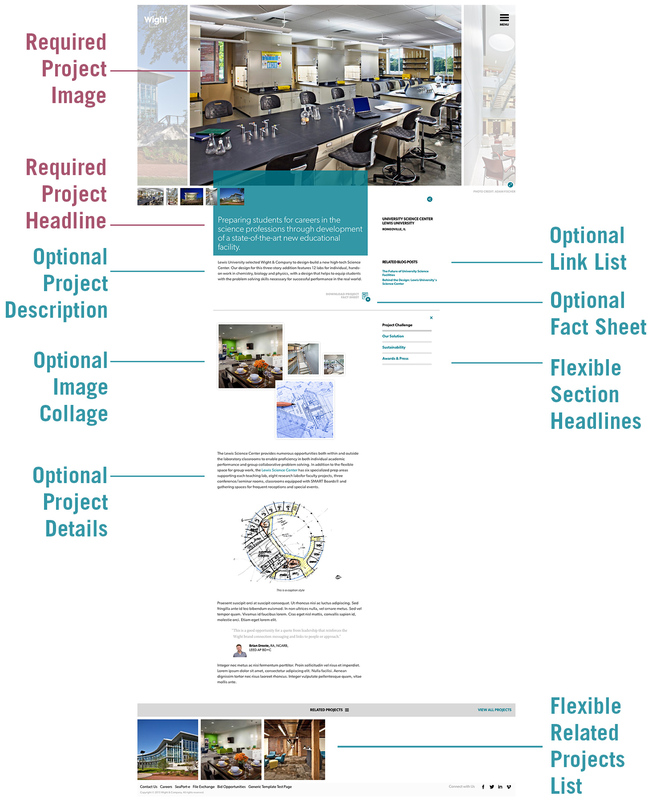 When creating a new project page, Wight’s marketing team can choose from one of two layouts. The slideshow template pictured below is meant for projects with multiple images displayed on a looping scroll at the top of the page. Wight’s slideshow template was built for projects that have plenty of large, high-quality images. The featured image template is intended for projects that are lacking in visuals — maybe the images are low quality or the project was never photographed. 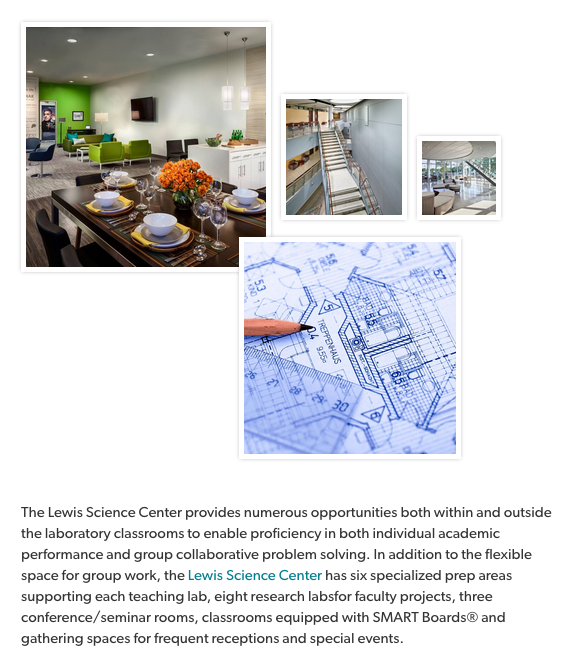 To add interest to the featured image, the page author can choose to include a large headline (typically a value statement about the project), as well as a smaller inset image with a caption. The featured image template was built for projects that are lacking in visual assets. Both templates are fully customizable in terms of project page content. Authors can turn features and sections on or off depending on what is important or available for that case study — from the bare minimum (image, project title, location, and headline) to extensive detail. A handful of fields are required to publish a Wight project page, and from there, the author can choose whether or not to include additional sections. 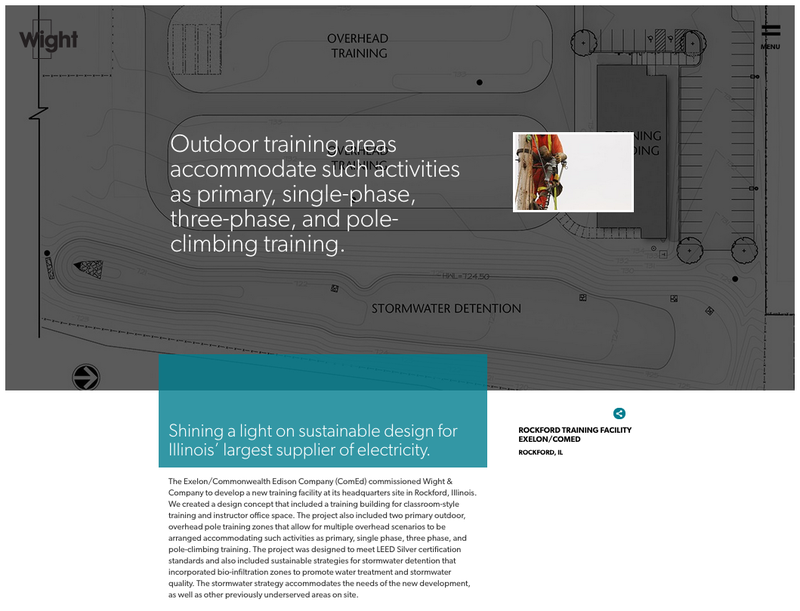 The required project headline, located within the color highlight just below the featured image, is meant to provide a value statement about the project. Just below this area, the project description (which is optional but recommended) provides a brief overview of the project’s purpose and scope. The author can also choose whether or not to include a project fact sheet that potential clients can download to get a full list of project specs. Authors must include a project headline, but the project description and downloadable project fact sheet are optional. The author can choose the headline for the list of links. Below the initial project description, the author can curate a project image collage — a selection of four smaller project detail shots. The image collage is an optional feature for each individual project page. To get into extensive project detail, the author can include up to four project sections, which are content blocks that offer additional information on the project. The title of each section can be customized to fit the project — whether generic titles such as “Project Challenge” and “Our Solution,” or project-specific names such as “Phase 1: Dome Restoration.” If the project does not lend itself to this kind of detail, the author can simply skip this section. 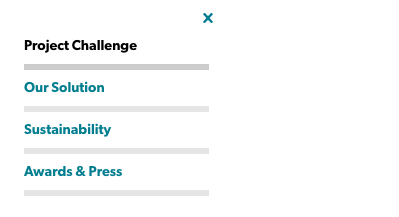 The author can break the project detail section into four chapters, each with its own customizable title. Related projects appear at the bottom of each individual project page and are automatically pulled in using project tags. If this selection needs tweaking, the page author can override auto-selections with handpicked projects. Each individual project page lists related projects — a list that can be hand-picked by the page’s author. 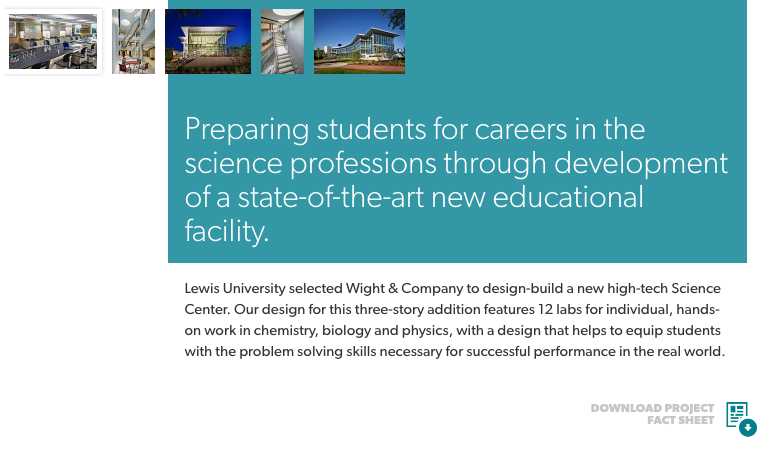 Wight’s fully customizable project pages give the firm the tools it needs to present a robust architecture portfolio, from meticulous restoration projects to engineering assessments. Our work for Wight is now a featured case study over on drupal.org — an online community that hosts news, resources, and discussions on the popular development framework. Congrats to our clients at Wight and our hard-working development team!